2011 Reprint of 1891 Edition. "The Picture of Dorian Gray" is the only published novel by Oscar Wilde. The novel tells of a young man named Dorian Gray, the subject of a painting by artist Basil Hallward. Basil is impressed by Dorian's beauty and becomes infatuated with him, believing his beauty is responsible for a new mode in his art. Dorian meets Lord Henry Wotton, a friend of Basil's, and becomes enthralled by Lord Henry's world view. Espousing a new hedonism, Lord Henry suggests the only things worth pursuing in life are beauty and fulfillment of the senses. Realizing that one day his beauty will fade, Dorian (whimsically) expresses a desire to sell his soul to ensure the portrait Basil has painted would age rather than he himself. Dorian's wish is fulfilled, plunging him into debauched acts. The portrait serves as a reminder of the effect each act has upon his soul, with each sin displayed as a disfigurement of his form, or through a sign of aging. 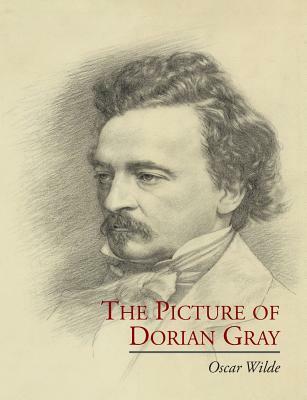 "The Picture of Dorian Gray" is considered a work of classic gothic fiction with a strong Faustian theme.